Let us make your holidays sparkle. Sure, you could break out the shaky ladder, clamber up onto your roof and spend a weekend untangling 100 strings of holiday lights. But why? Let us do the work. You sit back with some peppermint cocoa and enjoy the twinkling display. At Outback Landscape, we can outline your roof, gingerbread house style, or custom wrap your forest of spruce trees in glittery lights. We provide everything. 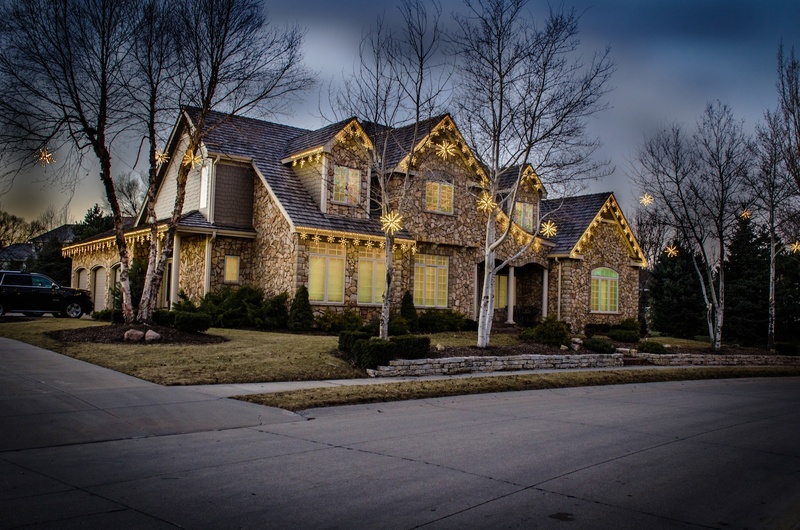 We want to be sure you have the highest quality holiday lighting, from bulbs to cords to connectors. If a bulb does blink out, we'll be over within 24 hours to take care of it. (We're faster than Rudolph.) When you're ready, we'll be there to take it all down and store it for next year. We like showing off a little. Ask us about our computerized, interactive light displays. We'd love to hear from you. Located in Idaho Falls, Idaho, we serve residential and commercial properties in Idaho Falls, Rexburg and Pocatello, Idaho, as well as Bonneville, Madison and Bannock counties. Call us at 208-656-3220. Or fill out the contact form to schedule an onsite consultation. Outback landscape is a responsive company who provides a valuable service at a great price. Their work was high-quality and they gave me suggestions to improve the design of our sprinkler system. I would highly recommend them to anyone! We treat every outdoor living space like a work of art. Outback Landscape is a full-service landscaping company offering maintenance, design, and landscape installation throughout Southeast Idaho and Wyoming. We install beautiful, functional landscapes. But our work doesn’t stop there. We’ll stay with you for the long haul, taking care of your property through all four seasons.